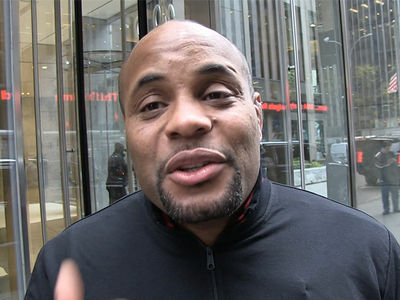 Daniel Cormier tells TMZ Sports the fight with Brock Lesnar is 100% going to happen -- and he's already putting together a timeline to prepare his training camp. The two have been going at each other in public for months but Brock's obligations to the WWE are an issue, especially since he's now the WWE Universal Champion. But, Cormier says he's thinking about a March date for the Lesnar fight -- which lines up perfectly with UFC 235 on March 2 in Las Vegas. "My preparation for that fight won’t start until the beginning of the new year," Cormier told the guys on the "TMZ Sports" TV show (airs weeknights on FS1). "I got the Gilroy High School wrestling season up until February (he's a coach at the high school in Northern California). So, it has to be after that. So, I’m off limits until early March." Cormier insists he's deadly serious about walking away from fighting on his 40th birthday -- which is March 20 -- so, UFC 235 would make the most sense. That said, Cormier's career is on fire right now -- both in and out of the Octagon. 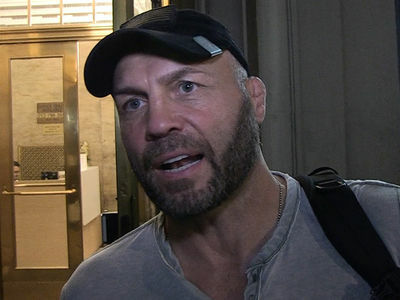 So, we asked if Dana White came to him with an 8-figure offer to fight Jon Jones for a 3rd time, would he take it?